We’ve got group and mid-week discounts available as well as a free shuttle service on Thursdays (shuttle must be pre-booked!) that runs same day return transfers from Perth to Jurien Bay and back to Perth. Scroll down for a complete list of prices. Looking for a gift voucher? Click here. 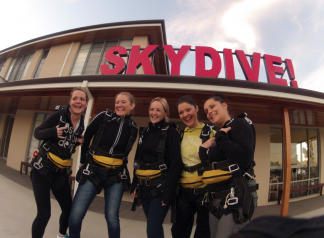 Every person who skydives receives certificate of achievement and a free drink at Jurien Bay Hotel or Murray Street Grill. 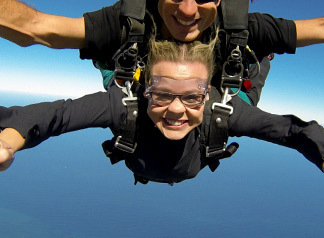 14,000 Feet Tandem Skydive	More than a minute freefall! Your fully edited video will include footage of your ground training, gear-up, plane ride, freefall and beach landing. 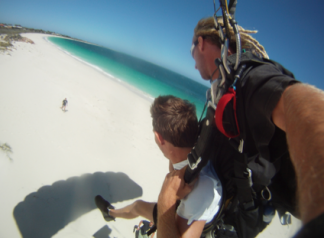 You may only skydive once so getting photos and video is well worth it as you can re-live your amazing tandem Skydive Jurien Bay experience and share it with your friends. All photos and video are uploaded in high resolution and you will be sent an email with a link for download. If you choose, customer videos may be available on our website to make it easy to share to social media. If you would prefer your video on a USB, this can be purchased for an extra $10. 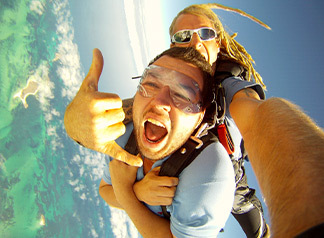 Capture your amazing tandem skydive experience and share the moment with your friends! Choose HD photos of your tandem skydive (approximately 100-200 photos) or choose our professional edited video option. Both photos and video is captured via GoPro and the video is edited to modern music. 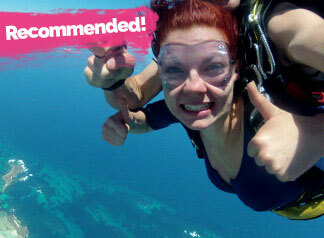 Want 100+ HD photos and the edited video of your tandem skydive? Then this is the package for you. 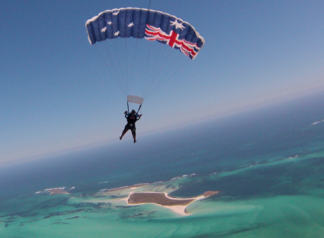 Share and print your photos whilst also having the video to prove that you really did do a tandem skydive at Skydive Jurien Bay. Awesome value! HD photos, Handicam video, plus outside video by our skydiving cameraman! This is the Rolls Royce when it comes to capturing your tandem skydive experience.